A woman who works in the janitorial section of Bowen and Bowen Company Limited’s distribution center on its Slaughterhouse Road compound in Belize City luckily survived a life-threatening attack in which her throat was slashed by her infuriated common-law husband at her workplace just after 8:00 a.m. this morning. Amandala understands that Suzette Pavon, 37, was performing her usual cleaning duties when her estranged common-law husband, Santiago Ricardo Palma, 48, with whom she had been having a domestic dispute, managed to slip past the security checkpoint, armed with a pocket knife, and after he engaged her in a conversation, he allegedly took out the knife and slit her throat. Christelle Wilson, Bowen & Bowen’s In-house Counsel and Public Relations Officer, told Amandala how the incident played out. Wilson also explained how the perpetrator managed to slip into the guarded compound. “What I understand is that he arrived at the compound, and we had security guards at every gate because no unauthorized person is allowed to come onto the compound unless they check with security first, but I guess he was monitoring from afar, and when he saw the gate opened, he took his chance [to enter the premises]”, she told us. After the incident, Pavon was rushed to the Karl Heusner Memorial Hospital, where she is listed in a stable condition. Wilson informed us that although the wound in her throat was about 13-15 centimeters long, fortunately, it did not reach her trachea or any vital veins, which would likely have caused her to die. When police arrived, however, Palma, who is himself a longtime employee of Bowen and Bowen Ltd., had already fled through the gates of the Riverside Tavern, which is located in the same compound. The couple, we were told, had been living together for at least 18 years, but according to Sergeant Martha Rhys, the Head of Belize City Police’s Domestic Violence Unit, whom we later spoke with at her Queen Street office, the two have a history of domestic violence, which recently caused Pavon to leave the house they shared in Ladyville and seek a protection order from the court. Rhys said that they are aware of both recorded and unreported acts of domestic violence committed against Pavon by Palma, including a recent attempt to drown her. The date for Pavon’s court hearing was set for next Friday, August 8; however, Rhys asserted that her department is trying to communicate with the Family Court in order to get an interment order (restraining order) for her (Pavon) as of today. 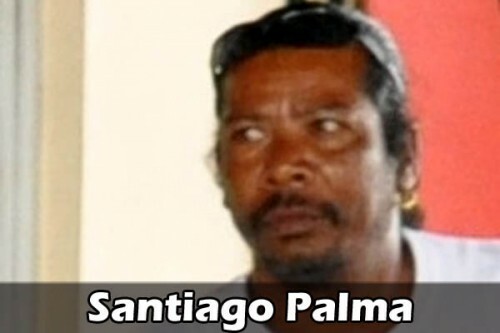 We understand that in the past three months, there were at least three other incidents in which Palma allegedly threatened the life of Pavon, with whom he has four children. Those incidents included Pavon being beaten with a baseball bat, and being stabbed in the back on two separate occasions within a 2-week span. Palma, of a Milpa Site address in Ladyville, is now wanted by police, but has been on the run since he allegedly committed the crime. Anybody with information on his whereabouts is asked to contact the nearest police station.